Searching for a temporary “Home Away From Home?” Search no further! Ocean Breeze Lodge offers fully furnished, 1- and 2-bedroom apartments conveniently located within walking distance to downtown Fort Bragg. Located within 1.5 miles of the Mendocino Coast Hospital, Sherwood Oaks Health Center, Fort Bragg Police Department, City Offices and Noyo Harbor: Commuting is not a concern! We are also within walking distance of many fine restaurants, laundromats and other personal conveniences. 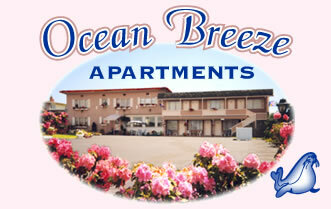 Owner operated, The Ocean Breeze Lodge Apartments have a ambiance that feels like home. 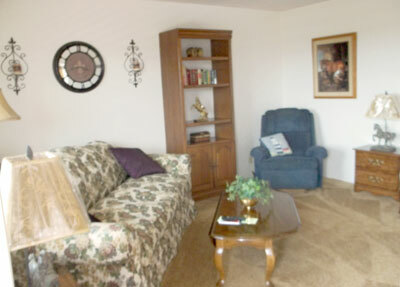 Tastefully decorated, each apartment is equipped with free local phone service, cable TV/HBO. In addition to being COMPLETELY furnished and supplied with the necessary housekeeping necessities — bi-weekly housekeeping services and of course Wireless Internet. You will only need to bring your personal items such as clothing and toiletries. We have truly created your “Home Away From Home”! Plenty of free parking and partial utilities paid. We have recreated our hotel to suit the needs of the mobile professional who has temporary housing issues to include a 12:00 PM check-out time. Our apartments are rented for a minimum of one month. Call for rates and availability.